Meals aboard Apollo 7 were something to be endured, Cunningham says, not necessarily enjoyed. 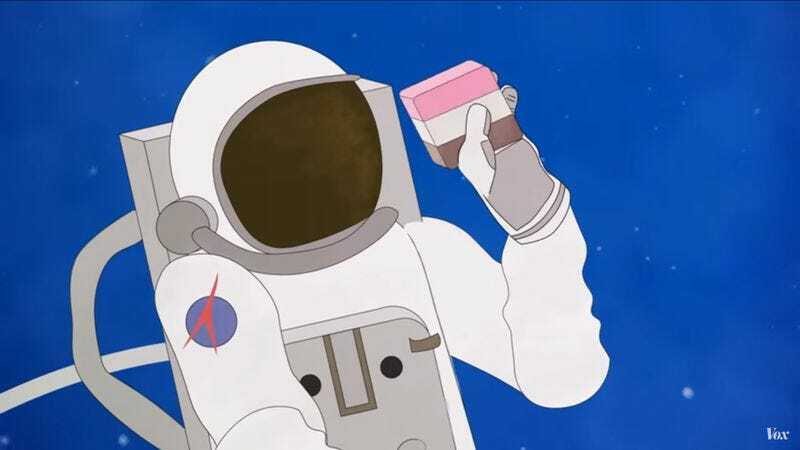 Besides, the crumbly stuff being promoted as ice cream for astronauts is wholly impractical. The particles would go flying everywhere. Today, Vox says, food quality in space has improved dramatically, allowing astronauts to enjoy genuine ice cream during missions. Meanwhile, those who want to relive the glory days of NASA’s past through space food are advised to try some selections that are savory rather than sweet. As Cunningham attests, the sweet stuff available to the astronauts tasted lousy and was generally shunned. He still holds a grudge against the butterscotch pudding. So what food did this astronaut truly enjoy? Space bacon. He even stowed some rectangular “bacon bars” in his space suit in case Apollo 7 was marooned.